A new sports and entertainment agency called Mongoose has launched in Singapore. The agency is primarily focused on brand-led marketing and sponsorship campaigns. Mongoose will source, negotiate and manage customised sponsorship and events programmes for B2B and B2C clients. The new agency is a joint venture with marketing and communications group The Mission Marketing Group. It will look to harness the power and scale of the mission to deliver fully integrated campaigns for the Group’s agency clients. According to a press statement, the company said that it will seek to deliver sponsorship focused data and insight to drive measurable business growth for clients. Based in London and Singapore, Mongoose will be working with a line-up of major national and international brands including title sponsor of The London Triathlon, AJ Bell; Chestertons Polo in the Park; The O2 sponsor CEWE Photobook; and Thomson Reuters who is a partner of the LTA. O’Donoghue , who played a pivotal role in the successful sale of WSM Communications to the Bill Gates controlled Corbis Inc. in 2014, was also previously sponsorship director at the WTA where he was responsible for the Tour’s partner portfolio as well sponsorship acquisition across its global assets. 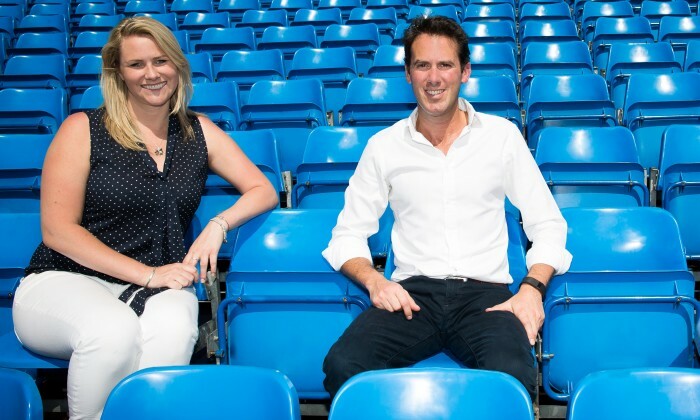 Alongside O’Donoghue is partner, Laura Pollard (pictured left), who formerly headed up the ground breaking fashion sponsorship at Vodafone and also managed their UEFA Champions League and ECB sponsorships. Pollard will head up strategy for mongoose. Meanwhile Philippa Stewart, who has handled blue chip clients such as HSBC, Aberdeen Asset Management and Brit Insurance, will run client services. John Beddington, a sports industry veteran and former tournament director and chairman of the Canadian Open Tennis Championships as well as founder of the Masters Tennis at the Royal Albert Hall will become chairman of Mongoose, collectively creating an experienced board for the new agency. Jollibee Foods Corporation (JFC) has promoted Albert Cuadrante as general manager of sister pizza restaurant brand Greenwich, effe..